Are you sending out manual appointment reminders to your clients? 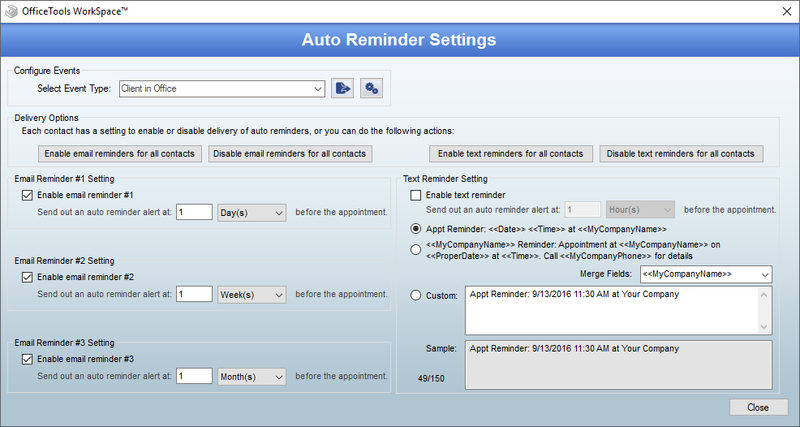 Use AutoReminders to schedule automatic email and text reminders for your clients’ appointments. 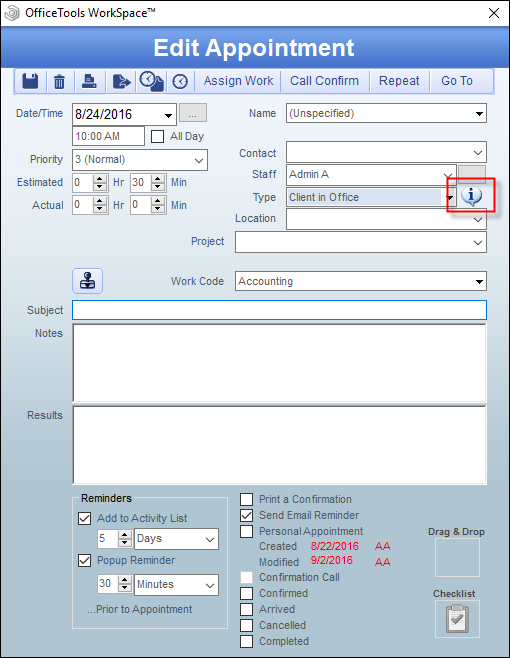 If you do not see the AutoReminders options referenced in this guide, please contact your account manager to purchase this feature. To begin, you will want to configure your global settings. Go to Setup > My Company > Information & Settings > Schedule > AutoReminders. First, ensure that you have selected the Event Type which you want to send reminders for. Each Event Type has its own settings. You can configure up to three email reminder periods which can be sent out based on a number of hours, days, weeks, or months before the appointment. These emails are based on your Global Email Templates and will be sent to the contact specified in the appointment details. You can also send a reminder text based on one of the two default templates or a Custom template which you can create from scratch and include merge fields as necessary. Once you have configured your reminders, you will need to enable AutoReminders for your contacts which will be receiving these messages. You can enable or disable this reminder en masse from this screen under the Delivery Options. 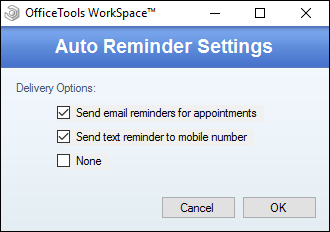 If you would rather enable this reminder for a select few of your clients,go to the Contacts tab, click on the “gears” icon, and select AutoReminder. This will open the settings for this contact. Each contact will default to “None” and will not receive any messages without performing this setup. You can enable email and text reminders separately on a case by case basis. Any contact which has been enabled in these settings will receive an automatic reminder based on the rules which were set up for specific Event Types. If you are uncertain whether or not an appointment will receive a reminder, edit the appointment and move your cursor over the information bubble. This will show a popup with the reminder rules which apply to this specific appointment.